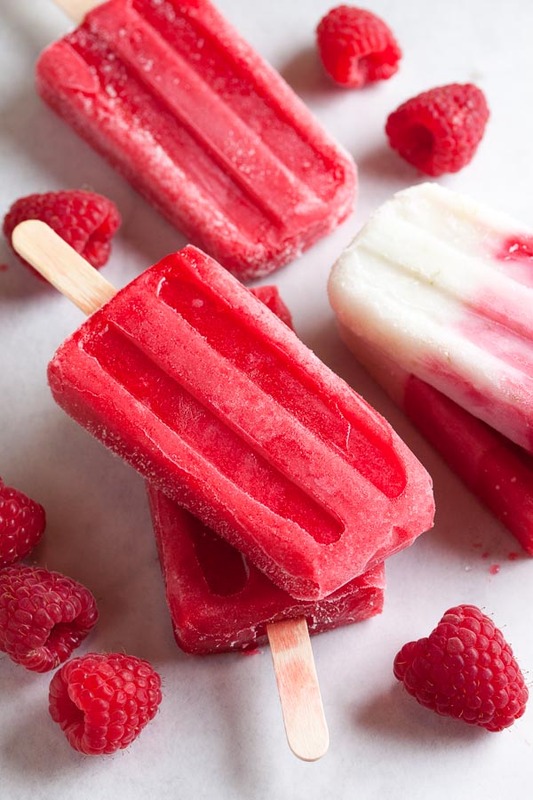 Raspberry Popsicles | wanna come with? 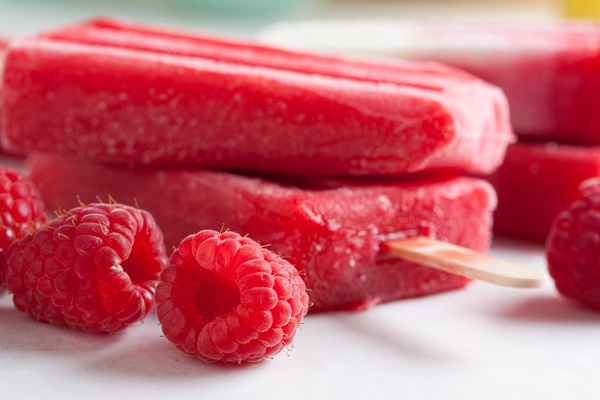 It’s another raspberry popsicle week! 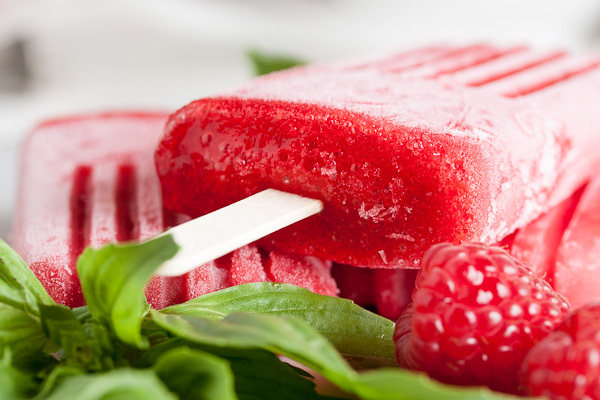 A couple weeks ago when I made those fantastic raspberry sherbet popsicles, I also made some plain raspberry popsicles. Because I had so many raspberries. All the raspberries. And I had some plans for the plain raspberry. 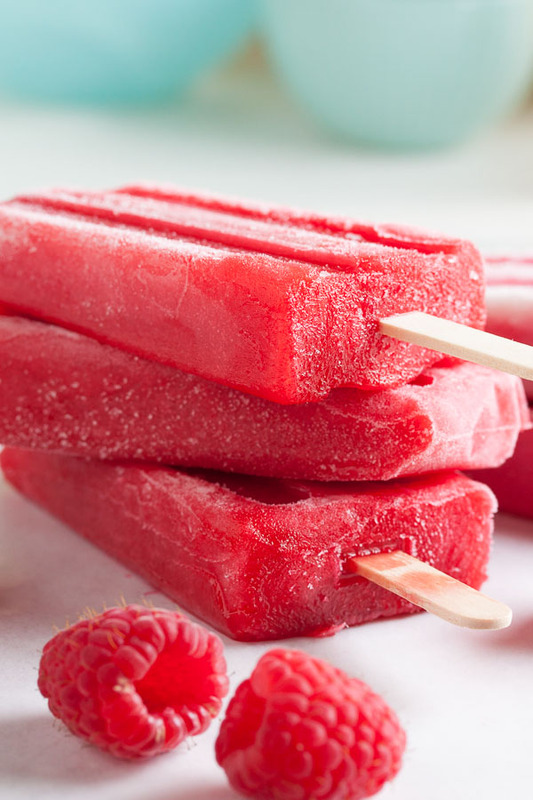 If you read that last post, you may have seen that I also made some coconut-lime popsicles and layered them together with the raspberry sherbet. With this recipe I went one step further and made some triple-layered ones – plain raspberry, creamy raspberry, and creamy coconut. And omg, they were SO good. Trust me, the plain ones are delicious as-is, but the combo ones were really something special. If you’re feeling ambitious and have more raspberries than you know what to do with, you should give that a try. And I was so happy this weekend that I had a freezer full of fruit popsicles. Not only is it a beautiful long weekend here in Vancouver, hot and sunny, but a friend of mine got married yesterday and it was the perfect day for an outdoor wedding. It was an amazing day, but unfortunately somehow my brain didn’t put together that a hot summer day + an outdoor wedding = a pretty painful sunburn. And I really should have known better. I’m a natural redhead with pale skin, and trust me, I’ve had more than my share of sunburns in my lifetime. But I’ve been really careful the last few years and apparently forgot how bad they could be and how easily they can happen. Oh well. So today I just took it easy and enjoyed some nice cool frozen treats in the shade. It was a good day. Tomorrow I’ll go stock up on more fruit from the farmer’s market and invest in some aloe vera gel. Adapted from "Straight Up Raspberry" from People's Pops by Nathalie Jordi, David Carrell & Joel Horowitz. Makes about ten 3-ounce popsicles. Combine the water and sugar in a small saucepan and stir over medium heat until the sugar has completely dissolved. Continue to heat until the liquid begins to simmer. This will just take a few minutes. Remove from the heat and allow the liquid to cool. 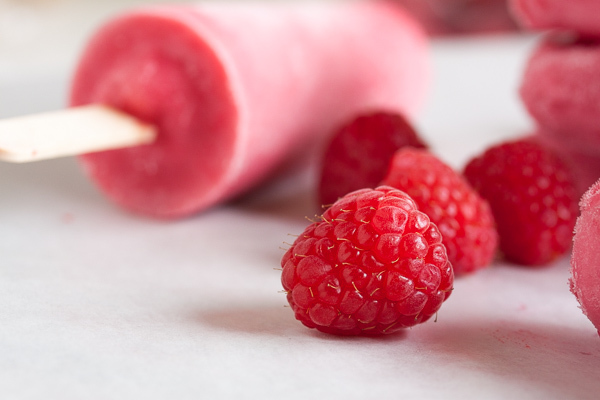 Purée the raspberries in your blender until smooth. 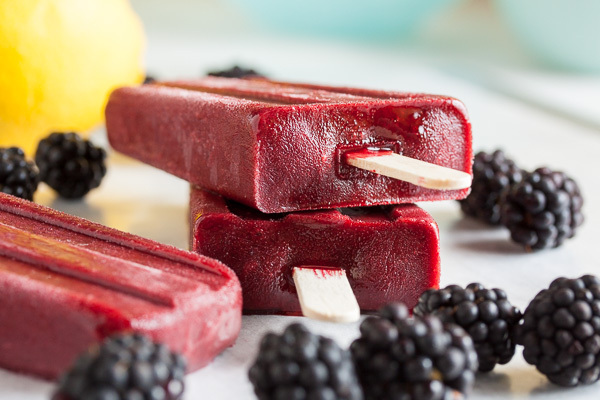 If you want a super smooth popsicle, you can then strain the liquid through a sieve or a food mill, but it's really not necessary. Add the sugar to the puréed raspberries gradually, stirring and tasting as you go. You may not need to use all of the syrup you made – it depends on how tart or sweet your raspberries are. 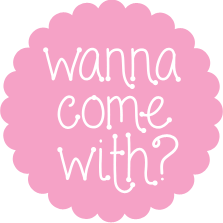 You definitely want the mixture to be on the sweet side, as a lot of that sweetness is lost after freezing. Trust your senses.